80 km east of Patna and 38 km of Rajgir. A great pilgrimage centre of Jains where Mahavira Teerthankar, the greatest propounder of Jainism delivered his last sermon , took Mahaprinirvana and was cremated here. This sinless town is a very sacred Jain pilgrimage center and is also famous for the two beautiful Temples viz Jalmandir and Samosharan. Parasnath the highest hill in Bihar (height of 4,480 ft) is situated on the eastern margin of Hazaribagh Plateau. The hill is an abode of both Swetamber and Digamber Jains. There are many beautiful Jain temples. 23 out of 24 Tirthankaras are believed to have attained salvation in the Sammetasikhara of the Parasnath hills. Parasvanatha, the 23rd Thirthankara was very popular among the tribal population of Chotanagpur. He is identified by the snake king Dharanendra who’s many hoods protect the meditating Thirthankar. Rajgir just 15 kms from Nalanda is located the complex of temples and monasteries. It is one of the most important tourist places in India. Being located in a valley, Rajgir is a very scenic place. Rajgir was the capital of the Magadh Mahajanpad (State) when Patliputra was not formed. In those days it was called Rajgrih. Rajgir or Rajgrih means the home of Royalty. This place has been associated with Lord Buddha and Buddhism. Buddha not only spent many years in Rajgir but also delivered sermons here and proselytized emperor Bimbisar at the Griddhakoota hill. The Jivekarmavan monastery was the favorite residence for Buddha. Even Bimbisar gave Venuvan Vihar to Buddha for his residence. 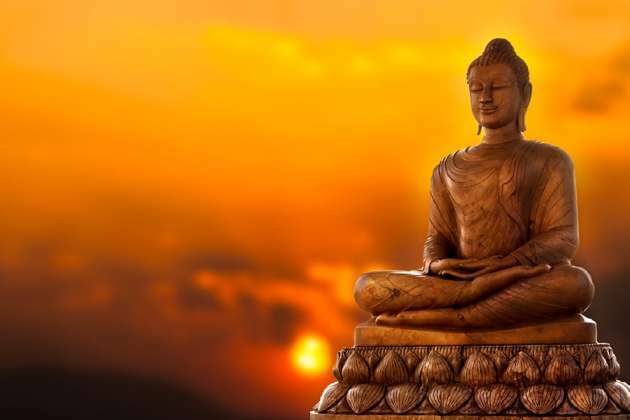 It is said that it was at Rajgir that physician treated Buddha, Jivak after he was injured by his cousin Devdatta.The teachings of Buddha was penned down at Rajgir and it was also the venue for the first Buddhist Council. Today Rajgir has come up as one of the most important pilgrimage for the Buddhist. Rajgir also has some very beautiful Hindu and Jain temples which attracts Hindus and Jains also to the place. Not only as a place for worship, Rajgir has come up as health and winter resort with its warm water ponds. These ponds are said to contain some medicinal properties which help in the cure of many skin diseases. The added attraction of Rajgir is the Ropeway which takes you uphill to the Shanti Stupa and Monasteries built by the Japanese Devotees on top of the Ratnagiri hills.